Surprising outcomes in cannabinoid CB1/CB2 receptor double knockout mice in two models of ischemia. “Although the number of individuals suffering from stroke in the United States and worldwide will continue to grow, therapeutic intervention for treatment following stroke remains frustratingly limited. Both the cannabinoid 1 receptor (CB1R) and the cannabinoid 2 receptor (CB2R) have been studied in relationship to stroke. Deletion of the CB2R has been shown to worsen outcome, while selective CB2R agonists have been demonstrated to be neuroprotective following stroke. We tested the hypothesis that CB1/CB2 receptor double knockout would produce significant increases in infarct size and volume and significant worsening in clinical score, using two mouse models, one of permanent ischemia and one of ischemia/reperfusion. The results surprisingly revealed that CB1/CB2 double knockout mice showed improved outcomes, with the most improvements in the mouse model of permanent ischemia. 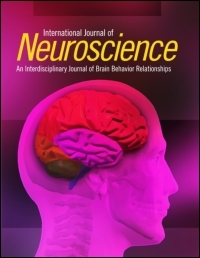 Although initial studies of CB1R knockout mice demonstrated increased injury following stroke, indicating that activation of the CB1R was neuroprotective, later studies of selective antagonists of the CB1R also demonstrated a protective effect. Surprisingly the double knockout animals had improved outcome. PTL401, a New Formulation Based on Pro-nano Dispersion Technology, Improves Oral Cannabinoids Bioavailability in Healthy Volunteers. “There is growing clinical interest in developing and commercializing pharmaceutical-grade cannabinoid products, containing primarily tetrahydrocannabinol (THC) and cannabidiol (CBD). The oral bioavailability of THC and CBD is very low due to extensive “first pass” metabolism. A novel oral THC and CBD formulation, PTL401, utilizing an advanced self-emulsifying oral drug delivery system, was designed to circumvent the “first pass” effect. In this study, the bioavailability of THC and CBD from the PTL401 capsule was compared with similar doses from a marketed reference oromucosal spray (Sativex®). No outstanding safety concerns were noted following either administration. Investigating the relationships between alcohol consumption, cannabis use and circulating cytokines: a preliminary analysis. “In recent years, human and animal studies have converged to support altered inflammatory signaling as one molecular mechanism underlying the pathophysiology of alcohol use disorders (AUDs). Alcohol binds to receptors on immune cells, triggering signaling pathways that produce pro-inflammatory cytokines. Chronic inflammation is associated with tissue damage, which may contribute to negative effects of AUD. Conversely, cannabis is associated with decreased inflammatory signaling, and animal studies suggest that cannabinoids may impact alcohol-induced inflammation. We explored the relationship between self-reported alcohol and cannabis use and circulating levels of the pro-inflammatory cytokines IL-6, IL-8 and IL-1β in the blood. A positive association between alcohol and IL-6 emerged. We also observed a negative association between cannabis and IL-1β. “Introduction: Cannabidiol (CBD) can convert to Δ9-tetrahydrocannabinol (THC) in vitro with prolonged exposure to simulated gastric fluid; however, in vitro conditions may not be representative of the in vivo gut environment. Using the minipig, we investigated whether enteral CBD converts to THC in vivo. Decisive role of P42/44 mitogen-activated protein kinase in Δ9-tetrahydrocannabinol-induced migration of human mesenchymal stem cells. “In past years, medical interest in Δ9-tetrahydrocannabinol (THC), the major psychoactive ingredient of the Cannabis plant, has been renewed due to the elucidation of the endocannabinoid system and diverse other receptor targets involved in biological cannabinoid effects. The present study therefore investigates the impact of THC on the migration of mesenchymal stem cells (MSCs) which are known to be involved in various regenerative processes such as bone healing. Expression of cannabinoid 1 and, 2 receptors and the effects of cannabinoid 1 and, 2 receptor agonists on detrusor overactivity associated with bladder outlet obstruction in rats. “This study investigated changes in the expression of cannabinoid (CB) receptors and the effects of CB1 and CB2 agonists on detrusor overactivity (DO) associated with bladder outlet obstruction (BOO) in rats. “Chronic GPR18 activation by its agonist abnormal cannabidiol (trans-4-[3-methyl-6-(1-methylethenyl)-2-cyclohexen-1-yl]-5-pentyl-1,3-benzenediol; abn-cbd) improves myocardial redox status and function in healthy rats. Here, we investigated the ability of abn-cbd to alleviate diabetes-evoked cardiovascular pathology and the contribution of GPR18 to this effect. Anti-inflammatory activity of cannabinoid receptor 2 ligands in primary hPDL fibroblasts. “Approximately 65 million adults in the US have periodontitis, causing tooth loss and decreased quality of life. Cannabinoids modulate immune responses, and endocannabinoids are prevalent during oral cavity inflammation. Targets for intervention in periodontal inflammation are cannabinoid type 1 and 2 receptors (CB1R, CB2R), particularly CB2R because its levels increase during inflammation. We previously demonstrated that SMM-189 (CB2R inverse agonist) decreased pro-inflammatory cytokine production in primary microglial cells. The hypothesis of this study was that cannabinoids anandamide (AEA), HU-308 (CB2R selective agonist), and SMM-189 decrease pro-inflammatory IL-6 and MCP-1 production by primary human periodontal ligament fibroblasts (hPDLFs) stimulated with P. gingivalis LPS, TNF-α, or IL-1β. Enhancing Endocannabinoid Neurotransmission Augments The Efficacy of Extinction Training and Ameliorates Traumatic Stress-Induced Behavioral Alterations in Rats. “Exposure to a traumatic event may result in the development of Post-Traumatic Stress Disorder (PTSD). Endocannabinoids are crucial modulators of the stress response, interfere with excessive retrieval and facilitate the extinction of traumatic memories. Exposure therapy, combined with pharmacotherapy, represents a promising tool for PTSD treatment. We investigated whether pharmacological manipulations of the endocannabinoid system during extinction learning ameliorates the behavioral changes induced by trauma exposure. Role of the endogenous cannabinoid receptor 1 in brain injury induced by chronic intermittent hypoxia in rats. “This study investigated the effect of rimonabant, a cannabinoid receptor type 1 (CB1) antagonist, on calcium/calmodulin dependent protein kinase II (CaMKII) and CB1 in chronic intermittent hypoxia (CIH).